I didn’t go to Kenya for a culinary experience. I went with a commission to write about a nonprofit doing some amazing work there. I flew Johannesburg to Nairobi last week on Kenya Airways, my first experience with what they tag The Pride of Africa. Pride a play on lion pride? 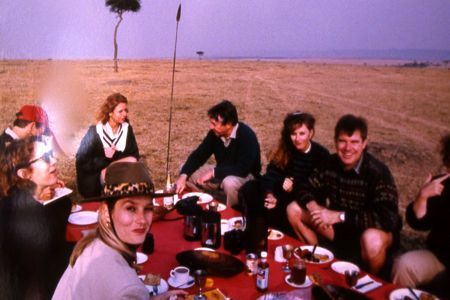 My last visit — that time wearing hat of travel writer — included a stay at Governor’s Camp in the Masai Mara. We saw lions hunting, lions reclining in trees and lions feasting on animals weakened by the annual migratory crossing of the Mara River from Tanzania into Kenya. Two culinary experiences stand out from that time. The first: Being deposited at the end of an early morning hot air balloon safari at a breakfast table set in the middle of a vast plain where we were circled, in the distance, by animals. There was champagne and orange juice, I recall. And eggs and bacon. I don’t remember what else, given that the spectacular surrounds and the nature of the adventure. Apparently these days there is less game served. But I was not able to see for myself as I couldn’t get any Nairobi resident of my acquaintance interested in going there with me. “It’s for tourists,” is what I was told. Uuniki (Unique) Hotel restaurant and bar. This time round, the chicken dish served on the Kenya Airways flight — with Thai-style spicing and a hint of coconut milk — ranks up there with the better inflight food I have eaten. On the other hand, a chicken dish served for lunch two days later — when a punctured tire prodded us to go sit at the roadside Uuniki (Unique) Hotel restaurant and bar in Machakos — showed that real free range is unlikely to go down too well outside of Africa. It must have been a scrawny geriatric chicken, given that there was no flesh to be found and the leathery skin was impervious, even with a saw-like steak knife, let alone my teeth. Foreground, chicken and ugali at the Uuniki. At this meal, the ugali, a Kenyan specialty of ground maize flour, served with a tomato and onion stew, was tasty, in a grits-with-tomato sort of way. “Well what do you expect?” the vegetarian photographer I was working with asked. He was talking about the chicken, and the scavenging eating habits of the many chickens we had seen, as he sliced into a remarkably skinny “Spanish omelet” that was the single vegetarian option that grabbed him. We breakfasted each day at the Country Lodge in Nairobi where we stayed. It’s one of those contemporary business hotels that provide 24-hour WiFi and all you need. Or would have, had I taken an alarm clock and hair dryer. Very nice, though. And the “younger sister” of the Fairview Hotel next door, where I ate a pretty fresh rocket salad at the Pwani Pool Restaurant the first night (their pizzas came recommended by a safari operator of my acquaintance); and a fairly decent red snapper the second night at the Pango Gourmet Brasserie where the vegetarian photographer waxed lyrical about his chef-cooked choose-your-ingredients pasta — one of several vegetarian options on an international menu. We didn’t bother with the wine, given the scary prices a for pretty ordinary selection, opting instead for Kenyan beer (Tusker). 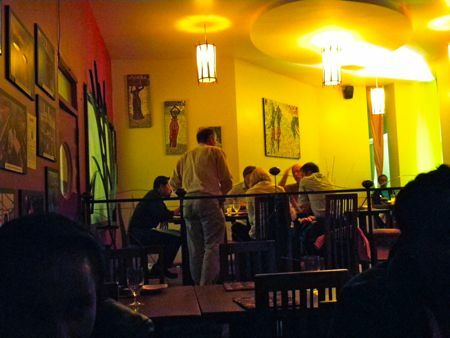 The final night we ate at Blanco’s in Nairobi’s Hurlingham neighborhood, which served up a meal worth writing about. “It’s African cuisine presented in a modern way,” said Yale grad and Kenyan NGO program associate Beth Waweru, who took us there. Molo lamb casserole at Blanco’s, Nairobi. Blanco’s, I read in a review they have online (where they also list all of their menus), is modeled as an African lounge with an “African posh” feel. Metal sculptures and art are by up-and-coming Kenyan artists. And the menu invites repeated visits as there is lots to tempt, which makes it difficult to choose. For a main, Beth had the Tikka Spesheli ya Blanco’s — chicken drumstick and thigh marinated in a special Blanco’s tikka marinade and grilled to succulence. She had it with an “accompaniment” of Mseto wa Vibanzi —a medley of French fries, arrowroots and sweet potatoes. 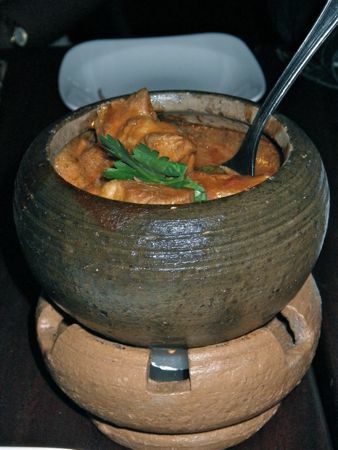 I had Kondoo wa Kuokwa Mazigani — the Molo lamb casserole slow cooked in a traditional earthenware pot. I had it with the Mboga za Siku — vegetables of the day — which were mixed greens, and delish. 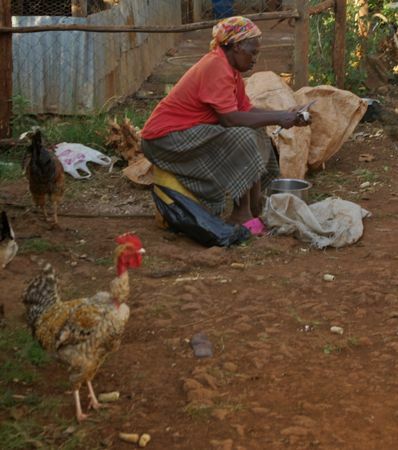 Read about Slow Food and Kenya’s bountiful but politically distressed Molo district here. Tabba, the third member of our party — an applied mathematician who does advanced prognosis and micro loan development for a leading Kenya bank — had the Maini kwa Rojo la Nazi na Kitunguu — pan-fried ox liver cooked in a thick spring and red onion coconut sauce. Our photographer was catching a 7am flight out and went to dine at the Fairview for the third time (it has three restaurants) so he did not get to sample Blanco’s comprehensive vegetarian menu. Check it out here. Perhaps this will give him something to obsess over, thinking back to my lost carnivorous opportunity. Flights from the United States and North America: Kenya Airways, British Airways, KLM, Emirates Airlines and Qatar Airways. Currently there are no direct flights from the United States to Kenya. Flights from the US to Kenya connect through London, Amsterdam, Zürich or Dubai depending on the airline. Connect via South Africa with South African Airways. I got what you mean, thanks for swing up. 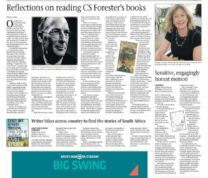 Thanks For Share Culinary Kenya: Tough old bird doesn’t cut it; Molo lamb does | Wanda Hennig. 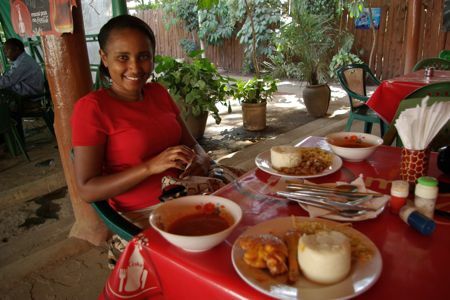 Indeed you dont go to Kenya for the culinary experience. However, meat eaters tend fair quite well. 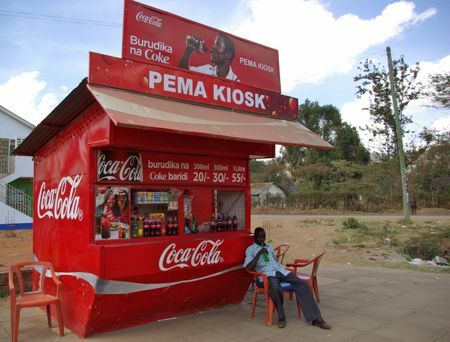 I returned to Kenya after 30 years of living in the states. I am a native of Kenya. I left for the States when I was nine. The return home was total culture shock. I was disappointed not to find fruit trees, Ethiopian and Indian restaurants. Instead, there were lots of burger and pizza joints serving up what is killing Americans. We found some nice bites along the coast. We also found delicious Gelato on the coast but it was difficult to accept how the New Italians are changing the north coast. The Italian food on the coast was disappointing. I liked the meat roasting huts. Your article got me thinking about the skinny free range chicken slaughtered by my nine year old cousin in complete darkness. There was light from a small torch. It was amazing to see a young boy slaughter and prepare an animal for cooking. I wouldn’t see that in Atlanta. It was tough and rubbery bird. Our knives wouldn’t penetrate the flesh and our teeth were useless. We ate by candle light. The side of cabbage was tasty. We didn’t want to eat chicken or have the family lessen their flock by one, but when our host placed food on the table we said thank you. Carnivores was over the top. 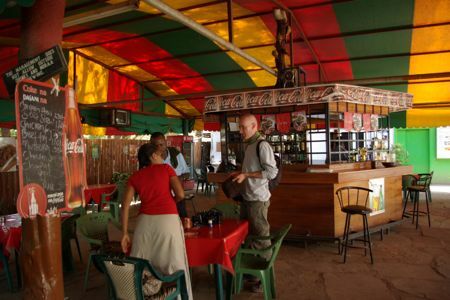 We had a couple places we liked in Nairobi. The fish market was one. I would expect to see any non Kenyan tourist there. I will definitely go to Blanca’s next time. Thank you for your article.